Black Rhino Cog is one of our latest styles with a unique chain like pattern that strongly blends into a detailed lip with concavity for an ultra-rugged looking custom wheel. Black Rhino Cog is one of our latest styles with a unique chain like pattern that strongly blends into a detailed lip with concavity for an ultra-rugged looking custom wheel. It’s a five spoke design with elements derived from the precision look of gears and cogs. The engraved recesses in each spoke give the right detail to suit the most demanding styles of 4x4’s. The Cog adds unique dimensionality with these details combined with the aggressive concave for wider sizes. To cover the full range of stock and lifted 4x4 & SUV vehicles, Cog off-road rims are available in 17, 17, 18 and 20 inch sizes. 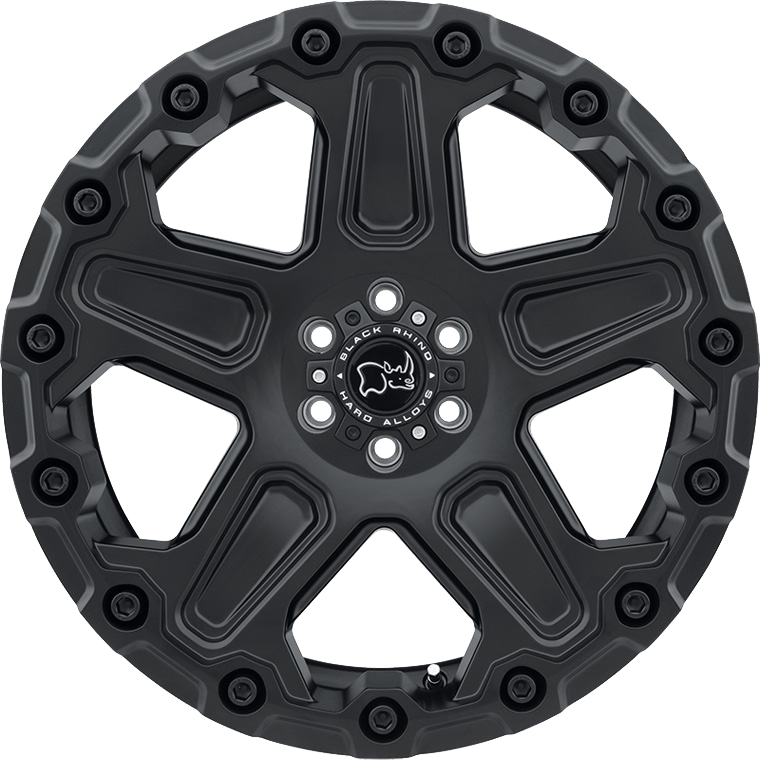 Offsets range from -18mm to+12mm for 5, and 6 lug PCD patterns. These truck rims sport huge lips to provide safe bead seating for oversized tires. Cog 4x4 and SUV wheels are featured in classic stealth matte black and matte black with machine face & dark matte tint.